There will be time when reading in sequence page by page just won't make any sense anymore. This brilliant book is truly one of a kind as you can just pick it up, read a passage from any page you want and the next day flip another random page and it will make sense somehow. Personally, this book has helped me describe all those confusing, unidentified feelings I had in me very accurately. If The Alchemist by Paulo Coelho can help push you to follow your dream, this is the book will definitely help you survive yet another dark phase of your life. It is simple yet poignant and the raw feelings described within just a few sentences can really make you feel like you're not alone - the author knows what kind of turmoil you're going through. 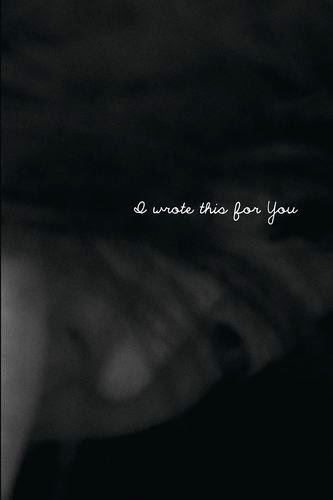 If you're not into books then maybe you can check out the official blog of IWroteThisForYou. To Iain Thomas, thank you for everything! Wow, really? Are they poems or short stories like chicken soup for the soul? Will try to find them here. Btw thanks insomniac for still contributing to this page. Suddenly i too have the urge to start blogging and will update all the books i have read. Just so you know, there are certain people who were put here to break you. So you could learn how to pull yourself back together again.